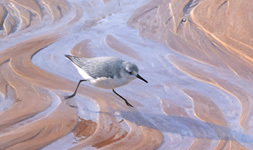 This is a giclee print of a painting commissioned for the frontispiece of the new Birds of Scotland (vol 2 – Passerines). 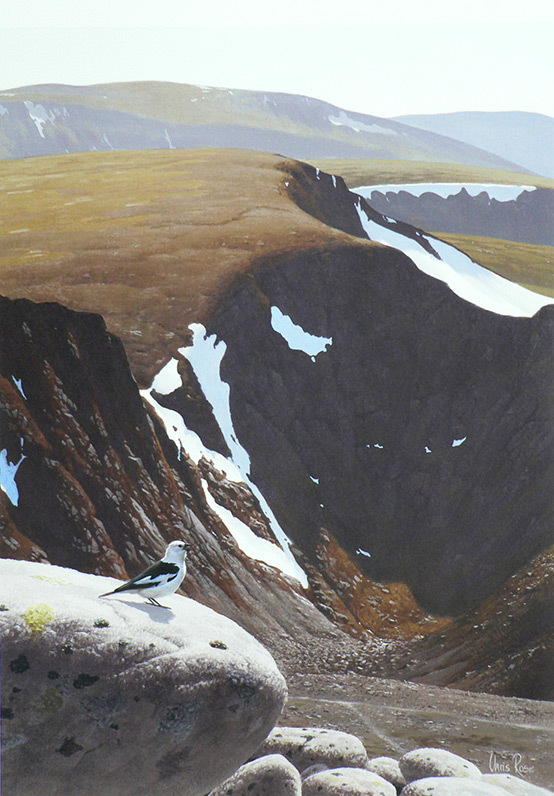 The painting depicts a male snow bunting on the top of Cairngorm mountain. I sketched the scene one June evening, between about 5.00pm and 6.00pm, and it was warm enough to be just wearing a T-shirt (I had trousers on too of course).